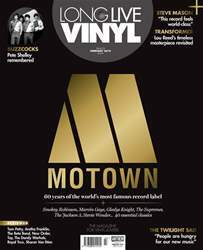 Digital Subscriptions > Long Live Vinyl > Feb 2019 > Save the date! The 12th annual Record Store Day has been announced for Saturday 13 April, and we will once again be publishing the official Record Store Day guide featuring full details of every single release. You can get your copy free wiThissue 25 of Long Live Vinyl. More than 240 independent record shops have signed up to take part this year and hundreds of limited-edition vinyl releases are set to be announced early in 2019.